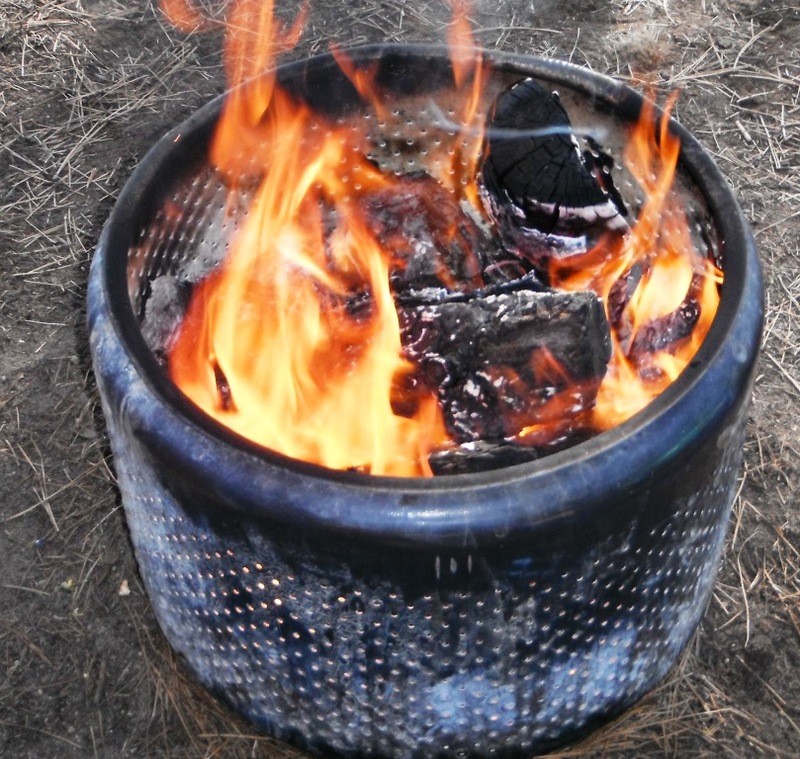 One piece of valuable campfire gear can be scavenged from your local landfill. 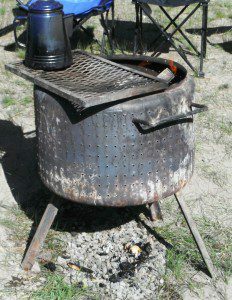 Get a steel clothes dryer tumbler and make a camp fire container out of it. You can buy a nice, clean stainless steel campfire container for about $250, or you can build your own from salvaged materials for virtually nothing. We do a lot of deep snow camping in Central Oregon and a campfire is really, really nice at night. A campfire allows people to warm up, dry out clothing and avoid hypothermia. But one problem with building campfires on top of several feet of snow is that at some point, the fire will melt through the snow and put itself out. Or if the ground is wet, it can cause the coals to smolder and be smoky. At the other extreme is fire containment during hot, dry summer conditions. If the flames are confined within a safe container or receptacle, there is less chance they might spread or catch something else on fire. 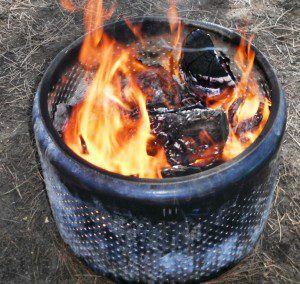 All these problems can be improved by making a camp fire container out of a steel dryer basket. Finding one is pretty simple: Check out your local landfill or ask at an appliance store. Many of these stores remove old washers and dryers when they sell a new unit, and they may have their own junkyard. This dryer basket was improved with legs, handles and a grill. Total cost of the unit is still dirt cheap! the bottom, or place it on rocks to raise the heat up higher. Make sure the basket is steel – there might be other materials in some baskets that will melt when exposed to high temperatures over long periods of time. Boy Scout Troop 18 in Bend, OR has been using the same basket for several years, and it shows no sign of needing replacement. It is easy to toss in the back of a pickup and take to a campsite. The steel basket confines the fire, and makes cleanup easy. If you’re going to be in a campsite for an extended period time, a dryer basket makes a good investment.